“With May 12th (International M.E Awareness day) approaching us Hay Green has decided as normal she will be releasing a book to raise funds for Invest In ME Research. Unfortunately she’s too poorly to write and publish her own content at this stage so she needs need your help! 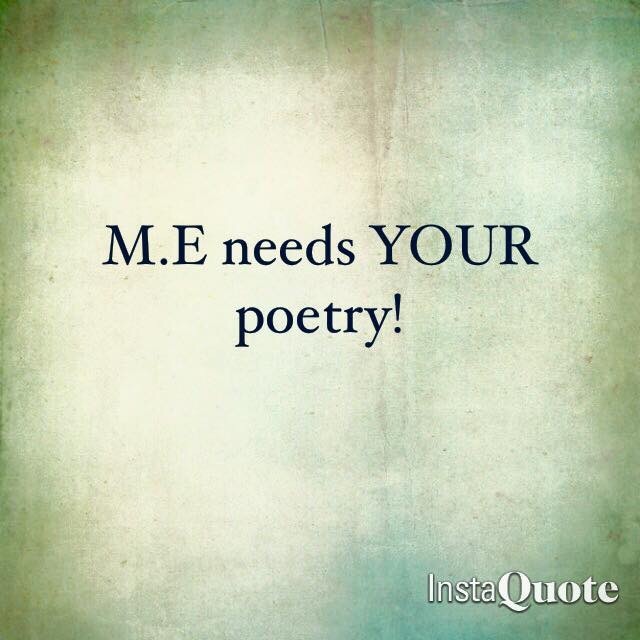 “I’m going to publish a book full of poetry from M.E sufferers, including myself, and need your poetry! Any you have already is great, and / or if you would like to write more for the book then that’s fine too – you can have as many entries in the book as you wish. I will have all of my 5 paperback books up for grabs to 5 lucky entrants as a thank you for submitting your content. After May 12th, winners will be chosen at random. Please email me your entries, and share widely! 100% of all proceeds from the book will be donated to Invest In ME Research. We are taking part in The Mighty Deerstalker half stalker, probably the hardest off-road-Tweed-clad-pipe-lit-plus-four-and-headtorch-wearing run that exists, and the biggest nightrun in the U.K. We are not all very fit and this will be a huge challenge, but we are doing this to raise money for Invest In ME, a volunteer run charity which raises money for biomedical research into ME (which is also known by the rather misleading name of Chronic Fatigue Syndrome). There are millions of people across the world today living with the complex neurological disease, Myalgic Encephalomyelitis who are actively and indefinitely missing from their childhood, their adolescence and their adulthood; their education, their careers, their social lives and their ability to contribute to society. Despite scientific progression in many illnesses and diseases, ME remains a stagnant orphan condition, continually missing millions of pounds in funding for research and treatment, and missing millions of doctors, researchers and specialists to assist sufferers in their every day lives. At a time where more and more lives are being destroyed by this disease, both young and old, this complacency must and will change. We have seen the devastation personally, 12 year old Kirsten went rapidly from a very fit and achieving young girl who loved school and many sporting and social activities, to to one who now at 14 is barely able to leave her dark bedroom, with dizziness, nausea, exhaustion, migraines, intense light and sound sensitivity, very poor and unrefreshing sleep, but most of all profound fatigue (more like gravity increasing so you can’t move than simple tiredness), which is worsened by any physical or mental excertion. Signed up to do the half Deerstalker so far are Kirsten’s dad Mark, her brother Joseph, her uncle Richard, aunt Michelle, and cousin Jake. Mark and Michelle are now signed up to do the FULL stalker, the crazy main run race of uncertain length. Also joining them is Kirsten’s uncle Dennis and cousin Tigen. Hi, Thanks for checking my page out! My name is Ben Scott and I’m about to take on my fourth marathon to raise money for Charity. This time round I’ll be running my second marathon for ﻿Invest in ME Research who are doing some amazing work to fund biomedical research into the causes and potential treatments for ME. The fundraising on this page includes both Invest in ME marathons as I’d like to keep a running total in case the marathon bug has me back doing another one. Why choose Invest in ME Research? 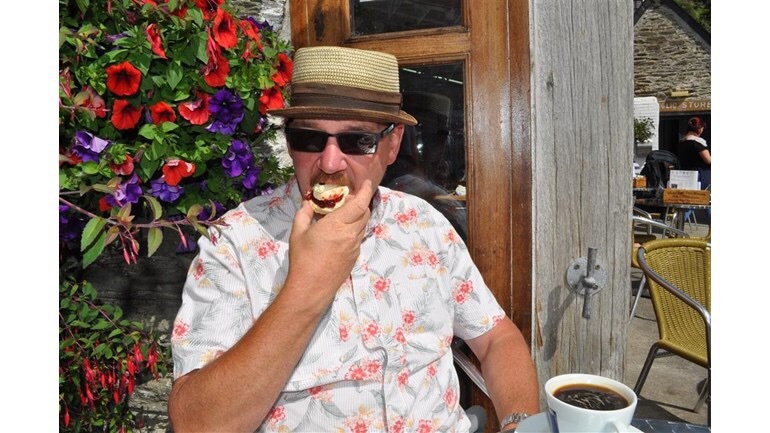 ﻿I’ve chosen this charity after ME/Chronic Fatigue Syndrome/Postviral Fatigue Syndrome hit me pretty hard when I was in my late teens and hit my wife Debbie even harder in the last couple of years. It’s like a flu that never seems to go away, leaving you totally drained by even the simplest of tasks. It’s a widely misunderstood condition, or range of conditions, that may well cover several illnesses which happen to have similar symptoms. It can range from a shorter term setback to a long term severe case where the patient is bed-bound for years. I’ve also been inspired by my mate Mike Harley who is running a marathon in every country in the EU – including Barcelona this year so I’m out there giving him a bit of moral support (and someone he can beat to the finish easily) . Check out mikeseumarathons.eu for details of his inspirational challenge. And finally.. On a personal note I never thought I’d run a marathon. I’ve now run (and walked a bit) three of them. Due to ME hitting me around my GCSE’s and A-Levels I gave up my first sport of Hockey, which I loved, for around 5 years and honestly never thought I’d get to feel fit again. It’s depressing (big and small D) and frustrating and I know how lucky I am to be able to go out and do things like this and push myself again. So I’m partly doing it for me, as a challenge and because I can; and I’m partly doing it as I’d like to think that someone with ME might read this and it might help them to see the light at the end of what can be a long old tunnel. If you’re living with ME right now then hang in there, it’s tough.. but you’re tougher!! Thanks for reading my page and thanks for any donation that you make, it really will be put to great use by a great charity.